St. Vincent DePaul Cathedral Food Pantry is in need of for May: peanut butter, healthy cereal, pasta, rice, canned fruit, canned soup, any non-perishable foods, toilet paper and any personal hygiene products. Please place your donations in the baskets located by the entrances of the Cathedral. Your gift becomes a sign of God’s love to those who are suffering. 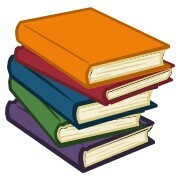 Cathedral Library Book Club meets on the 2nd Thursday of each month at 1:00pm in the Cathedral Library. All are invited. For more information please call Sue Jordan at 260-424-1485 ext. 307. Open invitation to all who want to JOIN the Catholic Church. Formation sessions meet weekly on Sunday Mornings 9:30am-11:00am in Cathedral Center. All non-baptized or those baptized in another religion are welcome to attend. Open enrollment year round. Contact Sue Jordan, RCIA Director, in the Parish Office at 260-424-1485 ext. 307 for registration information. You are INVITED to keep informed and up to date on your Cathedral parish by using Flock Notes.